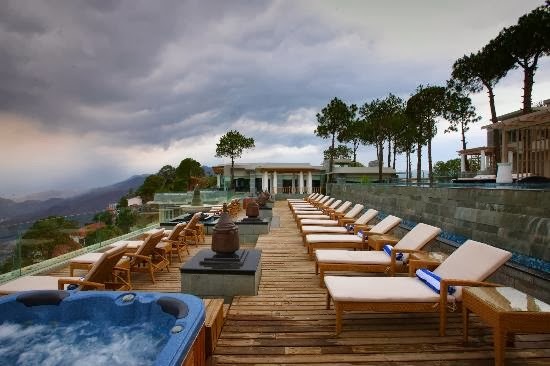 The things that make these luxury hotels and spa resorts in Himachal Pradesh, one of the top tourist destinations in India, common is that a stay in these luxurious properties is more than luxurious amenities, plush accommodations and impeccable hospitality. 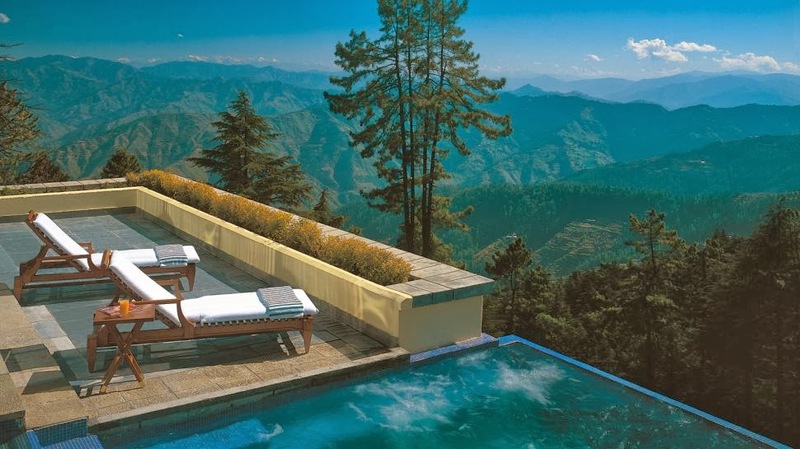 Nestled in magnificent Himalayas, these luxury hotels offer a mentally and emotionally uplifting stay with scenic view of lush valleys, spa & Ayurveda facilities and a communion with nature. Some of these hotels make for a great escape for couples looking for places to go for honeymoon in India and some are ideal of a spiritually uplifting and rejuvenating spa therapies combining the best of western therapies and old age tradition of Ayurveda. 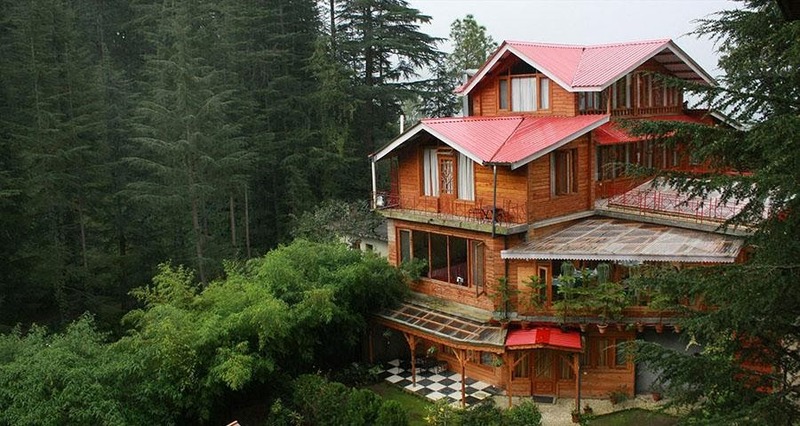 Head to one of these luxurious retreats in Himachal Pradesh if you are looking for a romantic getaway, family break, rejuvenation of even business in unhurried luxury at some of the best tourist destinations in Himachal Pradesh. Sprawled over an area of 22 acres of virgin woods of pine and cedar, Wild Flower Hall Shimla is one of the finest luxury hotels in Himachal Pradesh. It was recently featured in the list of 25 Best Hotels in The World compiled by TripAdvisor. The beautiful architecture of the hotel recreates the colonial era’s grand style. The hotel also reflects the old-world charm with elements like wood paneling and original artwork. Wildflower Hall in Shimla is also adorned with teak wood floors, rich furnishings and hand knotted rugs that complement the spectacular views of the undulating Himalayan peaks with virgin cedar and pine forests from the rooms. There are 81 rooms, 4 suites and 5 meeting rooms. Rated as one of the best luxury hotels in India for honeymoon, the Oberoi Wildflower Hall also features award winning Spa. The spa specializes in offering holistic treatments following the Ayurveda, Oriental and Western traditions. These therapies are offered private spa suites or pavilions located in a dense cedar forest, where the guests can enjoy beautiful views of the snow peaks. Further, for guests looking for adventure, the resort also offers trekking, white river rafting, mountain biking, billiards, archery, and ice skating (in winter). The resort also features in-house dining facilities that include restaurants and bar. The restaurant is praised for serving Indian, Pan-Asian and Continental culinary delights. Interested in a luxury holiday at this hotel? Plan and book your stay at Wildflower Hall Shimla. This luxury resort in Shimla is praised for excellently representing the grace and elegance of the erstwhile Colonial era. The heritage hotel is also acclaimed for being an important part in the colonial history of Shimla. The hotel was constructed in 1884 and thereafter various renovations and alterations were made and the hotel was reopened in 1997 with 67 rooms, 8 suites and 2 meeting rooms. Oberoi Cecil, Shimla has been excellently restored to its original grandeur featuring wood floors, crackling fires, period furniture, and a welcoming ambience. The rooms are constructed around a gorgeous atrium and offer spectacular views of the valleys and mountains. The hotel also features an in-house dining facility that serves European, Asian, Continental, Indian, Italian and Regional culinary delights. The Spa also attracts guests looking for a comfortable stay in Shimla. The Spa is the place where the guests can unwind and indulge into rejuvenating therapies after a long day city excursion or a business meeting in the resort’s boardroom. Chalets Naldehra Shimla in Himachal Pradesh is in proud possession the oldest 9-hole golf course in the country making it one of the most picturesque and fine luxury golf resorts in India. There are 24 rooms available for the accommodation of the guests. These rooms are categorized as Duplex Cottages, Family Chalets, Double Bedrooms, Three Bedroom Bungalow, Four Bedroom Bungalow, and Apartments. For guests looking for a stay for leisure, family, recreation, adventure, corporate bonding, golf and corporate conferences, the Chalets Naldehra Shimla is the ideal destination to stay. Every room is a view-room and the guests are amazed to see a different view from every window. The hotel also features in-house dining facilities that includes 360 Degree Top of The World, the first revolving restaurant in Himachal Pradesh that specializes in Multi-Cuisines and accommodates about 20 guests. The Garden Pavilion is another restaurant that serves Indian, Continental and Chinese culinary delights. Moksha Himalaya Spa Resort, sprawled over an area of 20000 sq m, is the perfect retreat for families, couples, corporate, eco group holidays and similar. There are 15 colonial inspired buildings constructed within the complex and the buildings are located in a convenient walk to all guest areas. Further, for the accommodation for the guests, there are 62 well-furnished Suites. The resort is one of the finest spa resorts in India that are designed to target on the seven energy centers in the human body to enable an improved sense of well being. The resort also boasts for its excellent in-house dining facility that includes Moksha Terrace Restaurant that specializes in serving Asian, International, and Indian cuisines. The restaurant has the seating capacity of 60 indoor and 30 outdoor. There is Moksha Bar & Lounge that has a seating area of 24 indoor and 20 outdoor. The guests can enjoy cocktails, nonalcoholic beverages, wines and snacks. Moksha Himalaya Spa Resort is also a preferred choice for business travelers as there is a business center that can accommodate 250 guests. The business center makes the resort an ideal venue for various business meetings, product launches, corporate parties, and more. This luxury spa resort nestled in Himalayas is praised for its contemporary Balinese architecture. For the accommodation of the guests, there are 36 rooms that are further classified as Deluxe, Super Deluxe, Premium and Luxury to meet the personal preferences of the guests. Suryavilas Luxury Resort & Spa is an ideal choice for business travelers as the business center is well-equipped with all modern facilities and technologies. The business center sprawls over an area of 2700 sq ft including a banquet area. Thus, the resort serves as a great venue for various business meeting, conferences, product launches, corporate parties and similar. Suryavilas features a spa center where holistic treatments and therapies are provided to restore the vitality of the skin by simple indulgence in some 'Cellular Re-programming'. The treatments are a perfect mix of Ayurvedic and Western therapies.Thalgo range of products is also used in the Spa. Moreover, the spa features mud baths, sauna and steam rooms, Jacuzzi, a fully equipped health club and a reflexology lounge. To tickle the tastebuds of the guests, there also are in-house dining facilities that includes Curries@3000 (Multi Cuisine Restaurant), Hi Spirits (Bar) and Tea Lounge (tea and Coffee).